It was only a matter of time before we heard from the one and only African-American actress to win an Academy Awards for Best Actress. In the last couple of weeks the Oscars have been in the hot seat, as many celebrities and fans took to social media to express their feelings on the absence of African American actors/actress’ representation in the Academy. We’ve seen and heard from Jada Pinkett Smith in her videos on boycotting the award show, Snoop Dogg who made a video saying exactly how he felt with no “hold bars” and having Jada’s back, we even heard from film pioneer Spike Lee stating he too would not be supporting the Oscars. 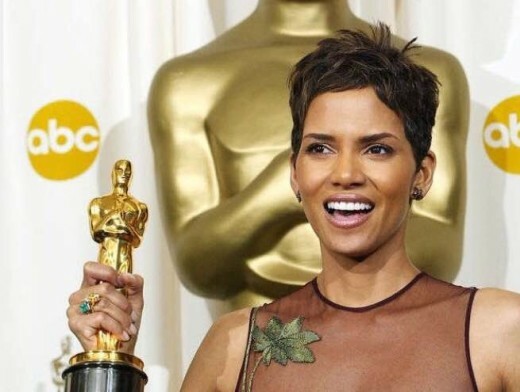 Halle Berry has been on the hush, but now she finally speaks on how she really feels about the debacle. According to essence.com, Halle Berry addressed what she called “the elephant in the room” at the 201 Makers Conference on Tuesday. She told reporters that she is “heartbroken” with the continued lack of representation African-Americans receive in Hollywood. Halle Berry won Best Actress for Monsters Ball back in 2001. In her acceptance speech she thought “the doors had been opened, the barriers had been broken” referring to change had finally happened and there would be more opportunities for future black actors/actress’ to win. Well 15 years later and it looks like not much has changed. Since her historic winnings, only three other black actress’ had been nominated, Gabourey Sidibe in 2009 for Precious, Viola Davis in 2011 for The Help and the young Quvenzhane’ Wallis in 2012 for Beasts of the Southern Wild.